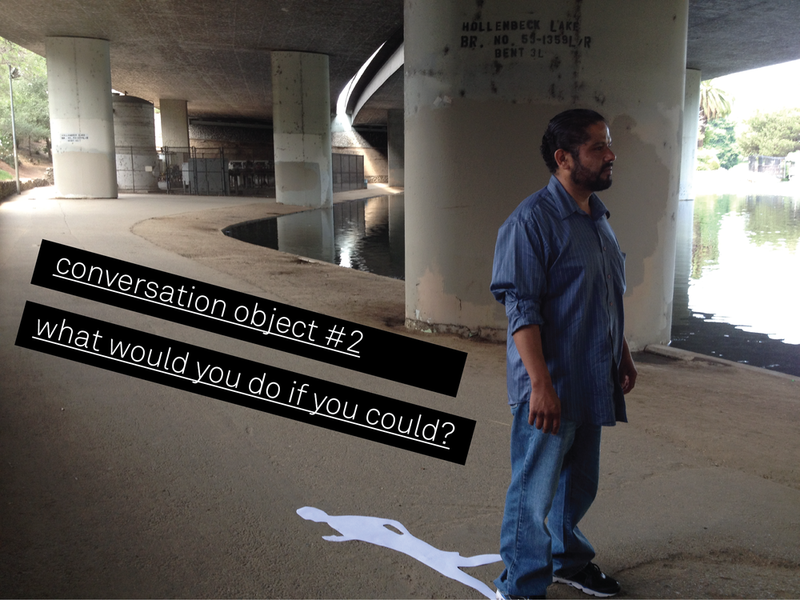 Traps + Triggers is a series of design research interventions with the goal of mischievous placemaking in Boyle Heights, a neighborhood of Los Angeles. This project investigates a community's collective memory of a place through design research that calls emotions of fear, inhibitions, and mischief into question. What does it mean to be mischievous in a space with a bad reputation? 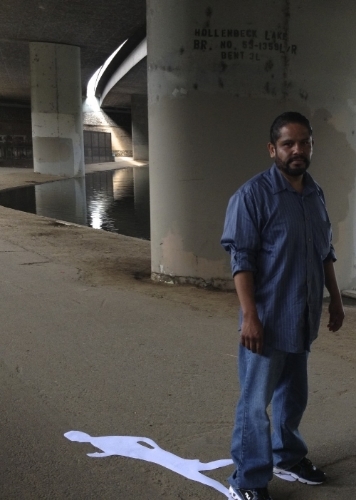 The beauty of Hollenbeck Park in Boyle Heights once graced postcards in the 1900’s, but locals now say the park has a bad history. Traps + Triggers seeks to confront past histories through creating new memories from interactions with curious objects and interventions. 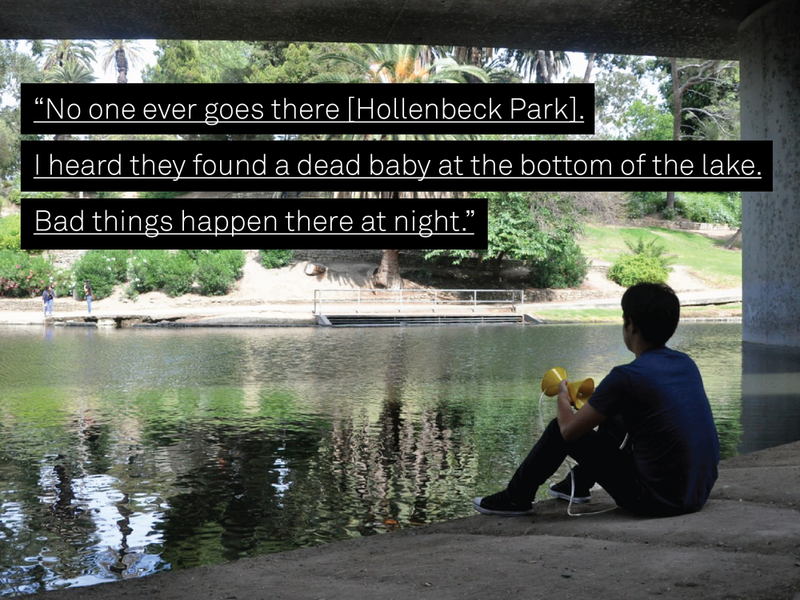 This project reframes how user experience research is conducted, and uses a design research approach to discover the hopes, dreams, and fears of users of Hollenbeck Park, and Boyle Heights at large. Traps + Triggers employs a series of conversation objects strategically designed as interventions in a space in the park often times avoided for its notorious reputation as a place of danger. These exercises are also used to place a designer in unknown territory, but with multiple exposure, a space becomes a familiar place through engaging with strangers. Each design intervention gleaned new insight and contributed to the next set of iterations. All photographs are not staged and were taken with consent. All participants were debriefed after their encounter with the interventions. All interactions were spontaneous during interventions (prototype testing). The reframing of user experience research in the form of design interventions opened me to see the value of foundational research and truly understanding the user at the onset. I see this project as living in the front end of project development; that is, it is used to define the project brief itself. Research needs not to be independent of design and making— they can be done concurrently to discover new angles and create new interactions that can define further engagement and design possibilities. Inspired to investigate Dunne + Raby's Critical Design. What does it mean to take speculative design out of the gallery? 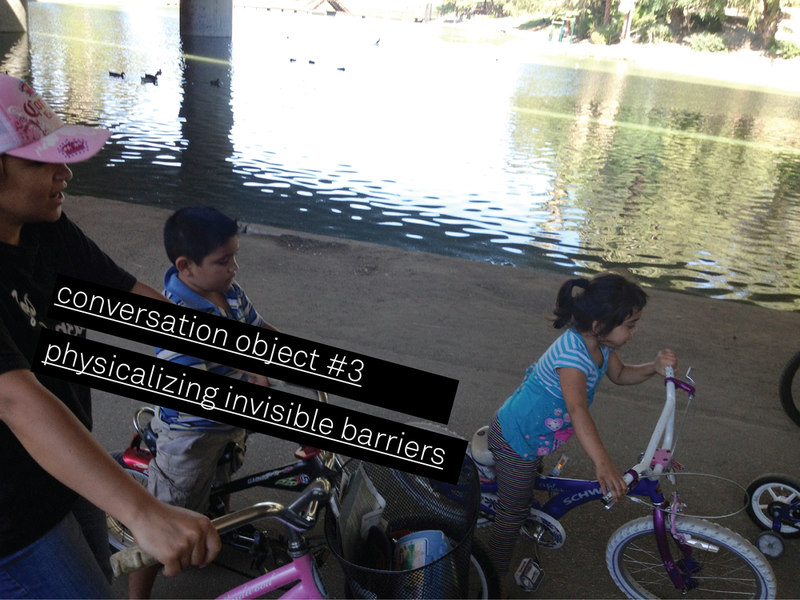 What new opportunities arise from conversation objects engaged in a community?